When traveling in Baja I carry a wide assortment of spares and emergency supplies. For our rides, I carry them so you don’t have to. 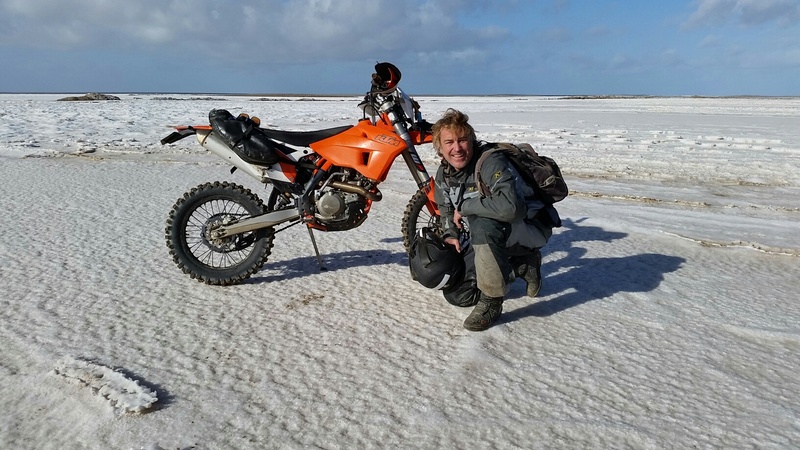 My gear includes; KTM spares, tools, tire changing tools and parts, basic first aid, fire starter, water filter, spot tracker, Satellite phone and other things that would only come into need during an emergency or overnight stay outdoors. Never the less, I encourage everyone to bring a basic tool kit with them, particularly when riding your own bike. I don’t wish to discourage anyone from bringing these types of supplies also, but be assured that I have most contingencies covered. On our trip we do not plan to venture so far from civilization that any might be needed. We could see any conceivable type of weather. Rain is common during the winter months and a few hours of riding in it makes for some cold riders. Snow is not out of the question. Chances are it will be mild and enjoyable, but come prepared for anything. Don’t forget your passport. Technically it is required to return to the US, but they will just give you a stern look if you cross back without it. Your bike must have some sort of ownership or registration paperwork to get into Mexico. In general, we will plan to leave from the Tecate border area about 10am the first day. We can meet up in Escondido and travel as a group, or just meet in Tecate. 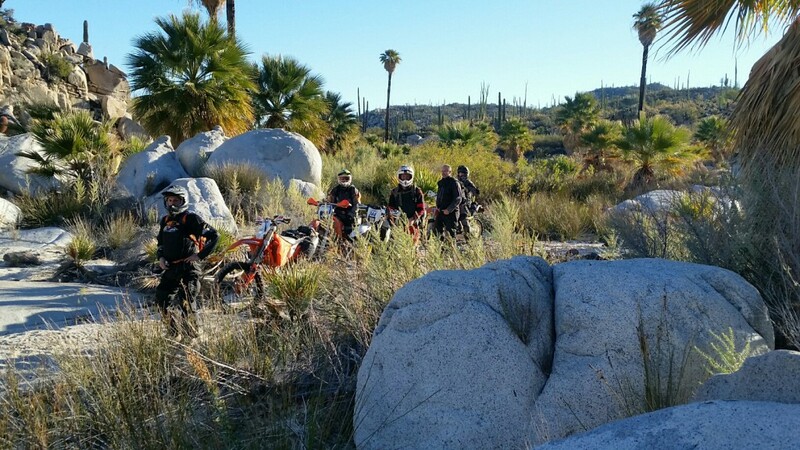 For riders flying in, we will typically pick you up at your local hotel and drop you back there on the return. I am flexible to whatever works best for the group. We have two choices to park. I often park on the US side in a pay lot right at the border. With that we can simply ride across and return the same way. It typically save lots of time on the return. We also have a very good location to park in Mexico. Doing so puts us closer to the riding area and requires a little less time riding on the pavement. I consider both locations to be very safe. While anything could happen, I have never had issues at either place. energy snack, my current favorites are Hammer Gel, Cliff Bloks and Kate’s Bars. We are never far from supplies, but feel free to bring your favorite snacks. hydration pack as light backpack, we will have access to good water at each meal. phone charger etc. Phone service and Wi-fi are available many places, check your phone plan for mexico use and data. Tube, HD ones in and bring a cheap 21″ spare so it won’t take up too much room. Inflate to 18lbs. I will have air with me. 80-100 mile fuel range is ideal, but not absolutely necessary. If anyone has less, they may have to carry gas. Obviously, make sure your bike is in good order: chain, sprockets, brakes etc. I use the Giant Loop Mojave Bags to carry my gear, all of our rental bikes have same. If you rent, consider light stuff bags to hold all your clothes inside the saddle bags. 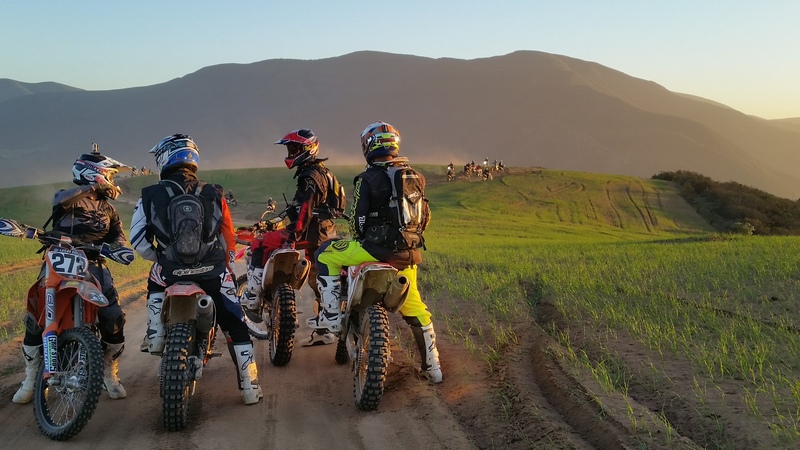 If you arrive in San Diego area and realize you need something for your bike, Vey’s Powersports should be able to help you out and they are on the way to Tecate. That should about cover it. We will be traveling to some great destinations and areas that will feel remote. Yet we will never really be that far from town.